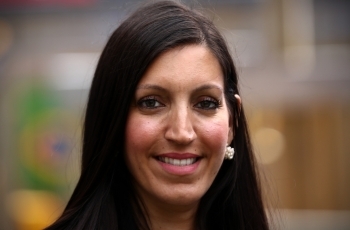 Dr. Rosena Allin Khan has served as Labour MP for Tooting since 2016. Recently in the June 2017 General Election, Rosena received 34,694 votes, which equaled a 59.6% majority, retaining her seat. She currently serves as a Shadow Minister for Digital, Culture, Media, and Sport (Sport). Dr. Rosena Allin Khan was born in Tooting to a Polish mother and a Pakistanian Father. She attended Trinity St Mary School and later went on to attain a degree in medical biochemistry at Brunel University. At the age of 24, she was accepted into Cambridge University to further pursue medical study. Allin-Khan worked as a doctor at Royal London and Homerton Hospitals. Before being elected as Tooting’s MP, she also worked as a junior doctor at St. George’s Hosptial. Allin-Khan was also a councillor on Wandsworth Council for Bedford ward in Balham where she served as deputy leader of the Council’s Labour Group. Allin currently lives and Tooting and is married to a Welsh husband, whom she has two daughter with.